The importance of spare house keys cannot be overemphasized. If you own a home, you definitely need spare house keys for convenience, security, to prevent scenarios where you are locked out, and for a whole lot of other reasons. Why do you need a spare house key? That rainy day would probably come sooner or later. You do not want to be caught up in the mess. Nobody plans for mishaps to happen, but they do. Having a spare key here, will save you the stress of having to call a locksmith, the time of having to wait out for the locksmith, the money you will use to fashion a new lock or rekey the lock, and the meetings or engagements you may end up missing. Between photocopying a document and having to type out that same document and print, which is faster? I am sure you know the answer. Do not worry if you lost your key or it broke. If you are left with a spare, it is very easy for a locksmith to fashion a new key from the spare one. This way, you also get to save your money and time. Also, many spare house keys last longer than just one key, so consider having more spares. Just to reiterate, spare house keys save you money on more than one way. They save you from calling a locksmith to unlock the door and make you a new key. It is also best to get you lock rekeyed or replaced when you have lost your key. Having a spare key also save you from losing time which is money, depending on your schedule. They also give you peace of mind that you are covered against a potential lockout if you happen to forget your key at friends place or in your office drawer. This is particularly useful, if you live with your family or friends. You cannot base your schedule on the activities of another person, just because there is no spare key. Also, you do not want to leave the door unlocked or take the risk of leaving the key under the doormat, or at other hide-outs that most thieves may already know about. Always keep your spare house key in a safe place or in safe hands. You do not want your leverage to end up becoming a disadvantage. Do not publicize your spare house keys. Anyone could be watching. Do not keep all your spare keys at one location. However, take note of where they are. 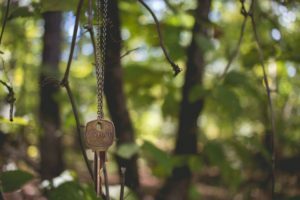 You can picture your spare house key trying to find every avenue to save you time, money, and ensure you are comfortable. Do not learn the hard way. Call a residential locksmith and get your spare house key today. Racine’s Lock & key is your residential, commercial and automotive locksmith in Racine. With our expert and experienced locksmiths, we can handle all your lock and ley requirements with speed. Locked out? New lock installation? Lock rekeying? Lock upgrades? Call us at (262) 509-0366 and get a free quote. Why Racine’s Lock & Key? © 2017 Racine's Lock & Key.